Apologys for the extreme lack of post in the last few months. I started a new day job and also took on a load of freelance work so time has been a bit short! I’m going to attempt to keep on top of this a bit more now! So expect more updates in the coming weeks! Also if you are on facebook head to my fanpage www.facebook.com/clumsykate for more regular updates! In the meantime, if you live in the South East come to this! 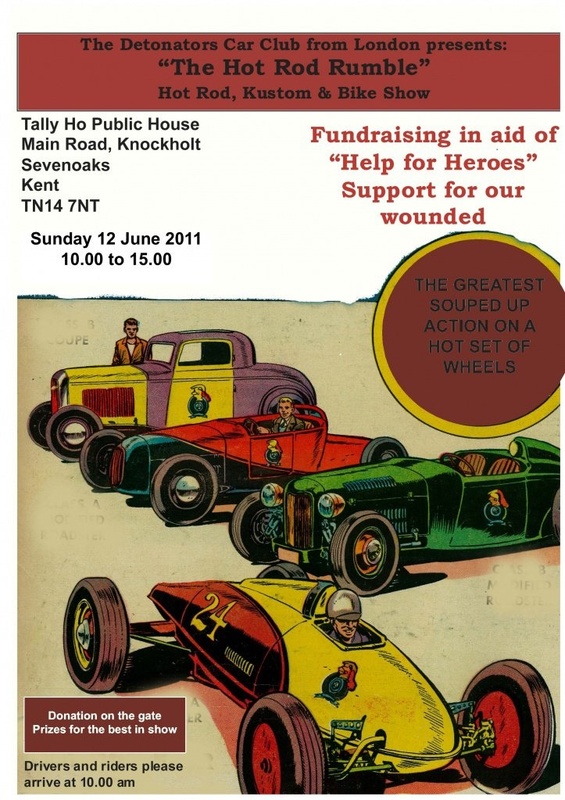 I´ll be there with More Brains Vicar, Von Leadfoot and Ben Nuthink, having a little stall! 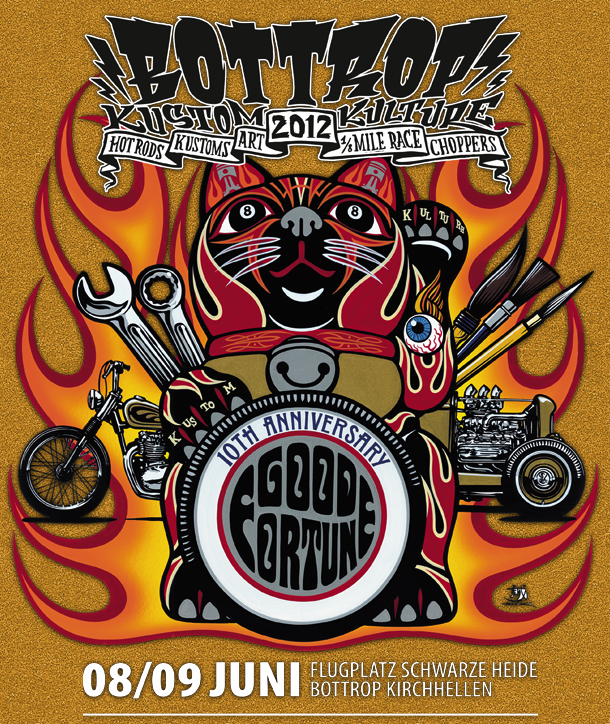 And if you are off to Bottrop Kustom Kulture next weekend, gimme a shout! I’ll be there as a punter, and also reviewing the event for Milkcow Magazine! We can have a beer and some German sausage! 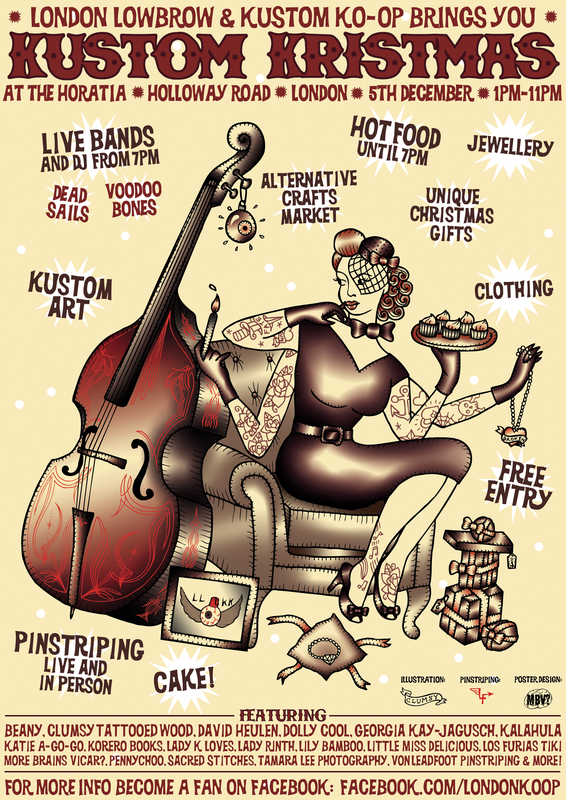 Last Sunday we held the first ever Kustom Kristmas event in Holloway! Me and my good friend Nicola have spent the last few weeks working on the event, and there was a great turnout and a really good atmosphere! I would like to thank Nicola for ll her hard work (especially on the bands side of things!) and also a HUGE thanks to all the artists and stall holders who came down with some fantastic art and crafts! Check out the pictures below! And if you missed out this time head to www.facebook.com/londonkoop to stay in the loop!